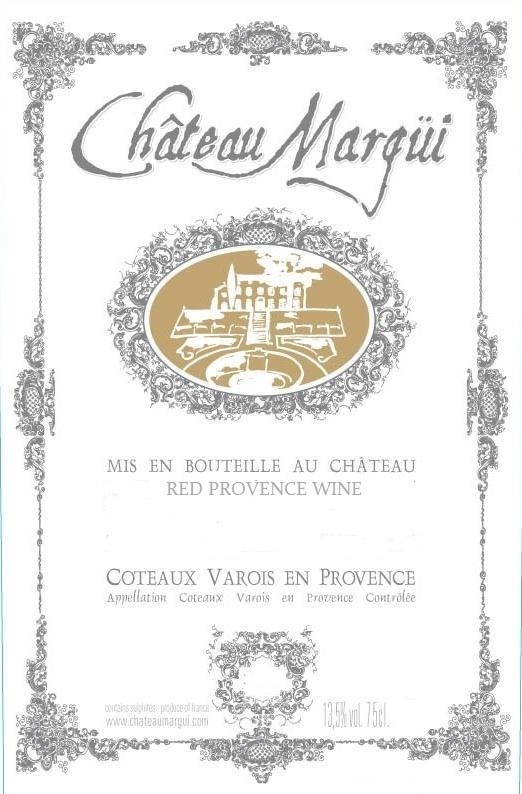 Chateau Margüi sits in a calm magnificence in the bucolic wooded hills of the Coteaux de Varois in northern Provence. The long-neglected property has been lovingly restored by Philippe Guillanton, its dynamic young new owner since 2000. 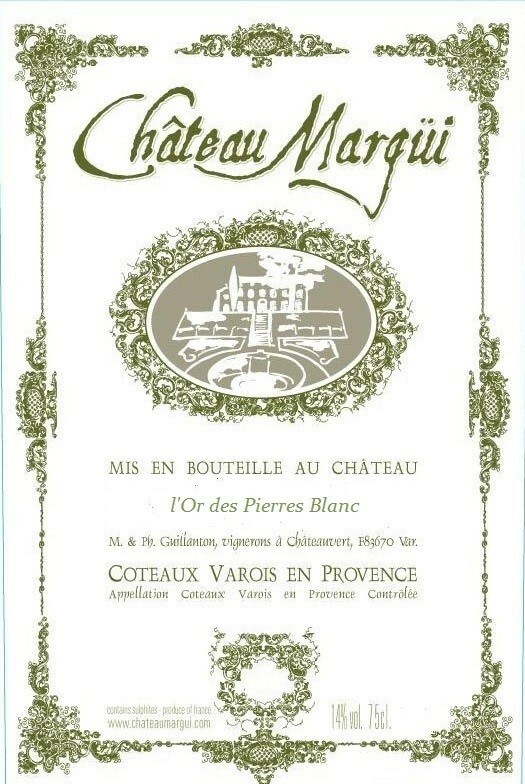 Phillipe’s wife, Marie-Christine, has completely supervised the restoration of the manor house and gardens while Phillipe’s attention has turned to wine. Consulting with local oenologists, Philippe has replanted the vineyards, neglected for over 20 years, and now has 30 hectares of Syrah, Cabernet Sauvignon, Grenache, Cinsault, Rolle and Ugni Blanc, planted according to the specific terroirs. Coteaux en Varois Rosé "Perle de Margüi"
Coteaux en Varois Blanc "L'Or des Pierres"
Coteaux en Varois Blanc "Les Pierres Sauvages"
Coteaux en Varois Rouge "Titien de Margüi"